Pastoral women are often kept on the sidelines of the village land use planning process (Photo credit: ILRI/Fiona Flintan). Pastoralists in Tanzania face ongoing land tenure insecurity. Faced with often male-biased land access and ownership arrangements pastoral women sometimes face a ‘double burden’ – as pastoralists and as women. However, notable progress in improving land tenure security for pastoral women has been witnessed following the adoption of a more facilitating land tenure policy and legal framework in the past 20 years. Both recognize the different land tenure systems in the country including communal land holdings and encourage gender equity. In addition, a national planning framework (2013–2033) has been operative, and nearly 1,655 villages have established land use plans (albeit a small percentage of over 12,000 villages). In a recent International Association for the Study of the Commons (IASC) conference in Utrecht in July 2017, I shared a reflection on pastoral women land rights and the land use planning in Tanzania. This was drawn from the experiences of the Sustainable Rangeland Management Project (SRMP), which is implemented by the International Livestock Research Institute (ILRI), the Ministry of Agriculture, Livestock, and Fisheries (MALF), the National Land Use Planning Commission (NLUPC) and civil society organizations. Now in its third phase, SRMP is funded by the International Fund for Agricultural Development (IFAD) and Irish Aid through the International Land Coalition (ILC). A study carried was out in four communities where village land use planning has been supported to understand the challenges and opportunities facing pastoral women with respect to accessing land and resources, in the context of the planning process. The National Land Policy (1997), the Village Land Act (1999), the Courts Act (2002), the Land Use Planning Commission Act (2007) and the Local Government Act (1982) provide opportunities for pastoralist women. These include access to land, security of tenure and entitlement, participation in dispute settlement, land adjudication committees, and female representation in the village council among other forums. But pastoral women’s land tenure security is complicated by the differences, and often inconsistencies, between accessing land and natural resources as a group (i.e. 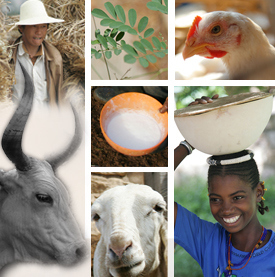 as pastoralists) and accessing land and natural resources as individuals (i.e. as women). Not enough has been done to consider these issues or to help pastoral women and men reconcile the two. Women as individuals or groups engaged in small-scale farming can access land, particularly under statutory arrangements. But with land/resources being privatized and encroached, access to resources overall is becoming more difficult and not least due to corruption—if you have money, you can access land and other resources such as a reserved forest. Despite the legal and policy safeguards, women in pastoral areas like other women generally have inferior land rights relative to men, predominantly in customary held land due to limitations invoked by customs and traditions. The widespread practice of polygamy is a challenge, especially when it comes to accessing land, since land is shared by all members of the family and, in such cases, none of the wives controls the shared land. When a man loves or pays attention to one of his wives more than the others, she becomes the lucky one and gets a bigger share of his property. The continuing conflicts between policies, legislation, customary laws and practice potentially leave pastoral women and their rights to land caught between the protection that could be provided by customary arrangements and that which could be provided by statutory law and institutions. The development and implementation of land policies and legislation and of interventions on gender equity are often carried out without a clear understanding of their implications for pastoral women’s (and men’s) rights to land and resources in either the short- or the long-term. There is also a notable knowledge gap among women in pastoral communities due to high rates of illiteracy and low education levels. Many women appear to be aware of their rights but are not ready to embrace them, due to cultural practices. 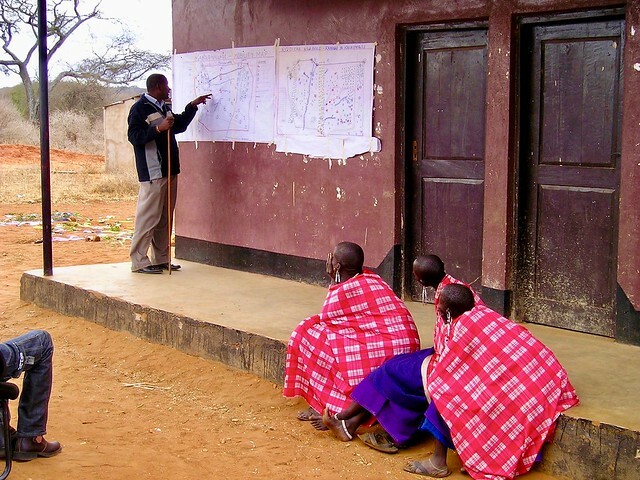 But empowering women through training and workshops has proved to be helpful, for example in the case of Loliondo village in northern Tanzania, where pastoral women were very instrumental in defending their rights including carrying out a number of different protests. The existence of a statutory law that recognizes equality between men and women in access to, use of, and control and ownership of land. The country’s constitution which prohibits all discriminatory practices and promotes gender equality. The remaining challenge is to harmonize the various laws relating to pastoralists and ensure the full implementation of gender equality. The strong presence of local and international non-governmental organizations working with pastoral communities in Tanzania that actively promote women’s land rights at the grass-roots level and build the capacity of women to embrace their rights. Women’s associations also provide opportunities for pastoral women to discuss their land issues, rights, and challenges from the grassroots upwards, and sometimes to access land as a group. The ongoing land policy reform is an opportunity to address the identified policy gaps and promote the security of tenure for pastoral women. The existence of the Guidelines for Participatory Village Land Use Planning, in which gender could be fully mainstreamed in order to secure the total and meaningful participation of women in the planning process. Gender-sensitive village by-laws on administration and management of land and natural resources commonly owned in pastoral communities – gender equitable decision-making on governance, quotas in village council meetings, quotas in village assembly and in leadership. Optimizing and realizing these opportunities should be a priority for those supporting the village land use planning processes if gender equality is to be achieved. With more gender-equal access to land, pastoral communities as a whole will benefit. Read the full results of this research in the Rangelands Initiative Research Paper: Securing Women’s Land Rights in Tanzania. Nasieku Kisambu is country liaison officer for We Effect in Tanzania. She is a former director of programs at the Tanzania Women Lawyers Association. Tags: CapDev, Rangelands, Tanzania. Bookmark the permalink.